Turn off the screens—the television, the computer, the video games. Take time from work, from chores, from the day-to-day tasks that keep us busy. Adults and children take it outside. Each week I will challenge you to see and hear new things—to hunt the woods for wildflowers, to find shapes in nature, to sit by the waterside and listen for unique sounds. So much to experience out in the world. 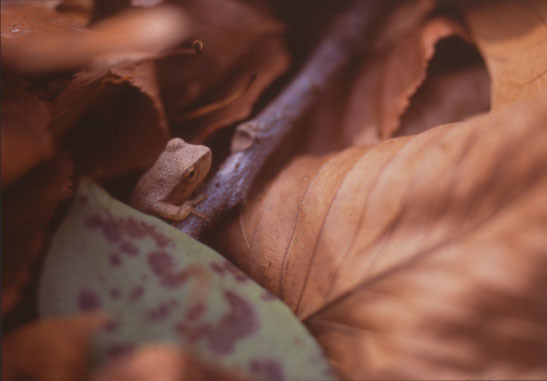 This week’s challenge: Look for little creatures—bugs, salamanders, frogs, fish. They could be anywhere, though looking in the wet leaves and under logs and rocks is a great place to start. Be careful not to hurt or scare the living things you find. You are much bigger and stronger. This is a really cool blog that I just stumbled upon in checking out emails. I’m supposed to go to work right now but would rather turn over logs and stones in search or salamanders. Very inspiring and a great idea. I will check it out often.